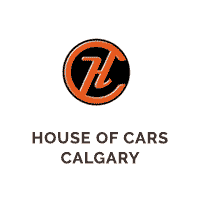 Here at House of Cars Calgary we believe that everyone should have access to a quality vehicle that they are proud to drive. We also believe that they should not have to endure any complicated or time-consuming processes to get to their car. All of the services and techniques that we use at House of Cars are geared toward getting you behind the wheel in the car that you have always wanted at a great price. Here is how we achieve that every day for customers across Calgary and beyond. There are so many used auto dealers offering used cars in Medicine Hat who offer poor inventory management. We believe that helping our customers to easily browse our inventory is so important – if they can’t get to the cars then we have made a serious mistake! This is why we put together our comprehensive online inventory. The easy-to-use tool puts together a range of filters and search options to help you look through our 400+ vehicles and find the one that’s perfect for your specific needs. Empowering you to browse from the comfort of your own home is one of the ways that we make the process of finding your vehicle simpler and more convenient. Once you have found the vehicle that you are looking for either in person or online then you will probably want to discuss it with one of our representatives. Every member on our team is united by our mission of “more vehicles with less limitations”. Their #1 priority is getting you behind the wheel with as little friction as possible. This means that their working methods are streamlined and they rely on their years of experience to help you make the right choice. Our helpful and compassionate service is one of the huge factors that contributed toward us winning numerous awards over the years. We are consistently voted as Best Used Car Dealership in different competitions and we believe that this comes down to our view that finding a used vehicle should be a fun experience rather than a stressful and tedious one. We speak with hundreds of potential customers every week and the vast majority of them appreciate the flexible financing and credit rebuilding programs that we offer. We believe that everyone should have access to a vehicle that is safe and works well regardless of their credit past. This is why we extend access to our Credit Rebuilding Program to all customers. The program gives each of our customers a range of flexible financing options that fit within their budget and allow them to get their dream vehicle. Above all else we believe that in Medicine Hat used cars shouldn’t be a source of stress but a source of pleasure. To get your process off the ground today simply contact one of our helpful representatives by telephone or by using our simple online form.